Criminal Law Myth of the Month – It took almost a year to press charges! Don’t I have the Right to a Speedy Trial? Frequently people talk about how they have been charged with a crime that got dismissed without prejudice, then many months later they were facing the same charge again. There are several reasons a charge gets dismissed without prejudice. One of the more common reasons is that the prosecutor is awaiting certain evidence before going forward. This is particularly common in DUI cases when the post-arrest test conducted is blood, yet the defendant is still charged before the blood results are available. This may also be the case if the prosecutor is investigating more serious charges. In a misdemeanor case, so long as charges are filed within one year of discovering the offense or six months of dismissal without prejudice (whichever is later), the statute of limitations is satisfied. For most felonies, the statute of limitations is seven years. It is a Defendant’s duty to keep their address current because if a Defendant is out-of-state or the address cannot be reasonably ascertained, time may be excluded from the statute of limitations and a warrant may be issued. This can be a difficult concept for people to understand and often means potential criminal charges may be looming for quite some time. 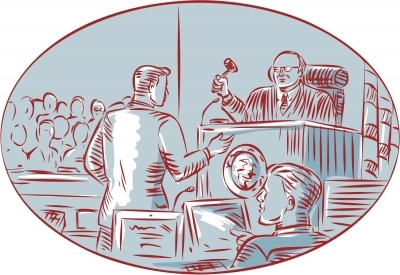 It is not until after a Defendant is charged that the right to a speedy trial applies. The right to a speedy trial requires, in most cases, a trial to be held within 5-6 months after a Defendant’s initial court appearance. However, this time limit may be extended depending on the type of case and the reason for the delay. Although it is extremely rare for there to be any violation of either the right to speedy trial or statute of limitations, it is very important to have an attorney review what can sometimes be complicated issues. In one of my biggest victories to date, there was a genuine problem with the statute of limitations that ultimately led to my client’s charges being dismissed with prejudice. Importantly, this result would likely not have occurred without my involvement in the case. If you have been charged with a crime, call defense attorney Matt Maerowitz for a free consultation at 602-912-5897. This entry was posted in Criminal Law, Myth of the Month and tagged Right to Speedy Trial, Statute of Limitations. Bookmark the permalink.